Interview with Alvin Lee, director of Asian supermarket chain Lotte Plaza. CHANTILLY, VIRGINIA: Lotte Plaza, a Korean and Asian supermarket chain, has been operating retail stores in the Washington Metropolitan area for 25 years now. In the past decade, it has built a large South Asian American customer base, by stocking everything from basmati rice and a variety of lentils to Indian spices and halal meat. 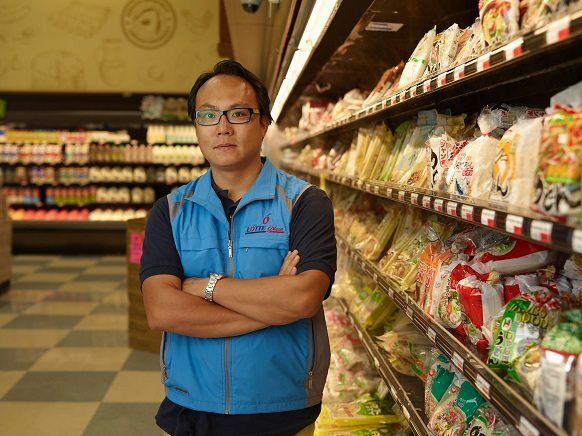 Recently, The American Bazaar spoke to Alvin Lee, a director of the family-owned business. A lawyer by training, he practiced corporate litigation for nearly 10 years before joining Lotte Plaza three years ago. Lotte Plaza has 10 stores in Maryland and Virginia. When and where did you start your first supermarket in the region? Our retail operation began in 1989 in Rockville [Maryland]. It was less than 10,000 square feet. But the response from the community was overwhelming. That’s where everything began. How did you get into the South Asian market? After September 11th, we started seeing more and more South Asians coming to our stores, especially Sikhs. We asked them — not offensively — “How did you find us?”. They explained that after September 11th — especially, the Sikh community — they would go to a mainstream market and feel very uncomfortable, but when they come to our stores, they were very comfortable. We didn’t treat them any differently. We were seeing more and more South Asian customers, especially with the produce and the vegetables. So we told ourselves, “Hey, we need to serve this community better.” We started small sections of grocery items and it got bigger and bigger. We started learning about Diwali and big festivals. Diwali is a big deal for us now. And you were the first supermarket to advertise on Indian satellite TV? Yes, after that our brand recognition expanded dramatically. Now, people from other states — not quite the west coast yet — but on the east coast, they’re much more aware of our brand. Our Catonsville, MD, store has many, many South Asian customers coming from as far as North Carolina and Delaware on a regular basis. We have a lot of people coming from up northeast to visit their families and friends in Virginia and Maryland, and when they do their shopping with us they ask, “Why don’t we have something like that over there? Why don’t you guys come?” So our brand recognition with the South Asian community is very strong. Where do you get your food and vegetable products from? Lotte Plaza scours the world for the best produce items. It’s not just local and nationwide; we also look outside the United States for all the exotic fruits and vegetables for our customers. After we started our South Asian food product line, we have been the leading innovators for sourcing South Asian vegetables and fruits. We are constantly looking everywhere to find the best products. Do you bring products from India as well? We’ve tried bringing fruit and vegetables directly from India. But the cost was so prohibitive. We tried bringing mangos from India — which I love, I think Indian mangoes are fabulous — but it was just so expensive that the customers didn’t react very well to it, even though the quality was very high. But we’re constantly trying. How do you identify your customer base? Do you do market surveys before opening a store? The distinctive feature of our market is that we have a very broad customer base. Most other specialty markets really target one or two groups. We strive to serve the various ethnic communities in a given area. When we look into a particular location, we do intense demographic studies and create a concept and merchandising in accordance with the demographic. That is why the product mix at our stores is a little bit different. It’s targeted towards those demographic groups in a certain area. We take a very scientific analytical approach to it instead of just guessing or trying things on a whim. We try to be much more disciplined about how we serve our customers. We look at the South Asian community as a broad segment, just like we look at the Chinese, Japanese, and Koreans as the broader East Asian segment. We look at the South Asian segment in a broader sort of spectrum because there are some food products that cross over and appeal to various groups within this group. But we also look very closely at each segment — whether it is Bangladeshi, Nepalese, or Indian — and even within the Indian demographic, we divide up the regions: [with] southern India versus northern India, the food products differ. In one of our stores, we saw a lot more basmati rice sale, so we put sales for basmati rice, whereas some of our other stores we go very heavy on the sona masuri rice. That’s an example of how targeted we are in terms of trying to serve our South Asian community. This is a global business and we believe that whether it’s Korean, or whether it’s Pakistani, or whether it’s Bengali, to Cambodian or Eastern European, food has such a deep meaning because it’s not only for sustenance. It’s about culture, it’s about families. At the end of the day, it’s about community and identity. We respect that and we strive to know their culture and practices. We make mistakes, obviously, but we’re constantly researching and trying to improve our service, product mix and price points for our customers. Do you also target the “mainstream America” and Hispanic Americans? At certain stores, we’ve started to target the Latino demographic. In terms of “mainstream America,” that number is climbing year after year. I would guess right now that number is 10 to 15 percent. There are several things happening that we see: number one is that the taste of America is changing. Especially with Asian foods, whether it’s Indian, or Korean, or Chinese, or Japanese, it’s making inroads into the mainstream diet of the general American populace. Especially, because it has an image of being much more healthy, fresh, and something different. How many times can you have hamburgers or spaghetti? The Asian diet especially has a lot of vegetables — fruits included. So I think there’s a lot of broader appeal. People just know more about it. The second thing, I think, is the price point issue. If you go to, let’s say a mainstream American market versus a store like us, you’ll find the price difference to be significant. I think the mainstream population is noticing the price differential with the product either being the same, or sometimes superior, especially with produce, meats, and seafood. The third thing is that at the end of the day, mainstream stores are too packaged. Everything’s behind plastic. 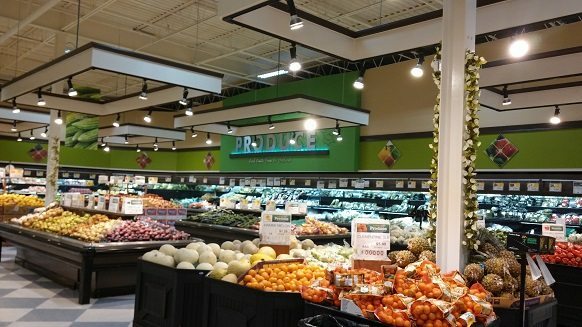 Whereas at a store like ours, you could pick your own fruits and pick your own vegetables — pick the ones that you like. 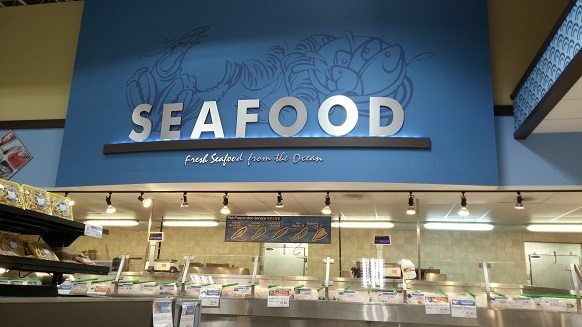 I think that sort of selection, especially with the seafood and produce, [offers] a bazaar feel. That sort of feeling is missing from a lot of mainstream markets. I’m sure they have their reasons for doing that but I think for our demographics that’s one of the main appeals. I think mainstream America is going back to the older ways with the trend of buying local produce, and that’s part of the fun of shopping, too. A number of retailers have now started setting up shelves for international foods, such as Indian and Chinese. Do you think other stores will start to follow your model? I believe that demography is king. Demographics change society, culture, history, and the economy, certainly. The American trend towards ethnic diversification is only going to increase, not decrease. There’s a lot of cross culturalization. For instance, we have Koreans buying Indian bitter melons. We noticed that trend starting a couple of years ago because Koreans are starting to realize that bitter melon has enormous health benefits. They’re buying it by the box sometimes, and we’ve never seen that before. We see our vegetable dumplings are selling more to Indians than the Chinese, or Koreans! Any plans for expansion in other areas? That’s definitely in the works. Right now, we have [store] number 11 coming up next year. We’ve opened up four stores in the last couple of years, which was a huge project. We’re expanding internally, hiring people, we’ve moved into a bigger headquarters office in Columbia, MD. Do you have any international presence? We have branch office in China, Japan, and Korea. Are they meanly for sourcing? Yes, and they ship products to nearly every continent. A lot of wholesale. Are you starting home delivery? That’s in the works. We’re thinking about that, but the logistics are a little bit difficult. We don’t know when it’s going to happen, or if it’ll be anytime soon, but we’re always constantly looking for better ways to serve our customers. Home delivery is different because the supermarket is not just a market, it’s a place where people meet. And they want that experience, especially during the weekends. We strive to provide a community feel. In many stores, you have small food courts, with fast-food restaurants serving ethnic food, including Chinese, Korean and Indian. What’s the idea behind that? We find that a lot of families will come, pick up their groceries but don’t want to go home and cook. So we are saying. “hey, we’ve got a food court for you.” It’s easier for mom and dad to eat there, or take it to go. I think it helps provide that community feel. We also have other services, such as barbershop/hair cutting service. Some of our customers come, get their hair cut and then go shopping. It’s like their one-stop-shop. At our Centerville, VA, [store]. We have a bank to service our customers. We’ve got a travel agency and jewelry stores, and it’s to create that one-stop-shopping convenience and community. Finally, tell us a little bit about yourself. You are a second-generation businessman at Lotte. When did you come to the United States? I came from Korea when I was 8-years-old and grew up mostly in Maryland. Then I went to Chicago for school. After graduating with a history major from University of Chicago, I worked as a management consultant for a couple of years. After that I went to law school and practiced law — I was a corporate litigator for many years. Three years ago, I decided to come back to help the family and the company.